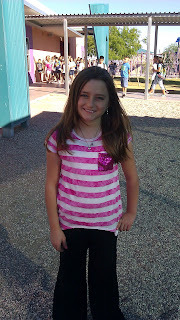 Autumn graduated from the 6th grade on Friday. 6th grade. I can't get my arms around that. 6th grade. No matter how often I say it, it just does not make any kind of rational sense. And yet, it happened. 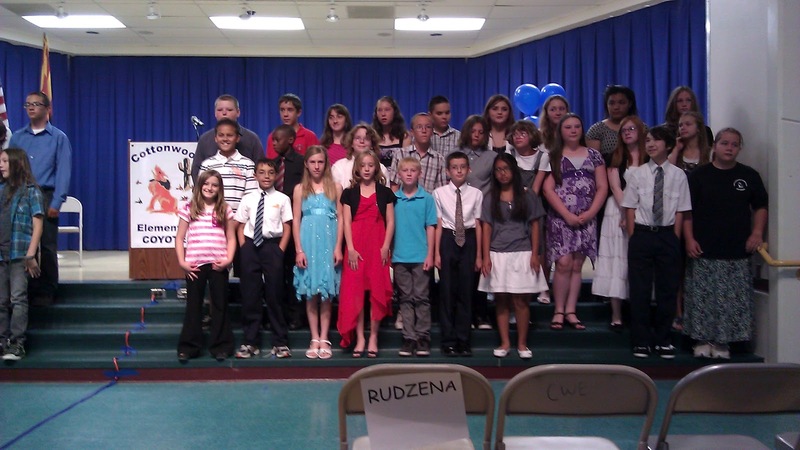 Do you remember your 6th grade graduation? No? Either do I. Not just from the standpoint that it was eons ago, but just because it never happened. There was no Kindergarten graduation. 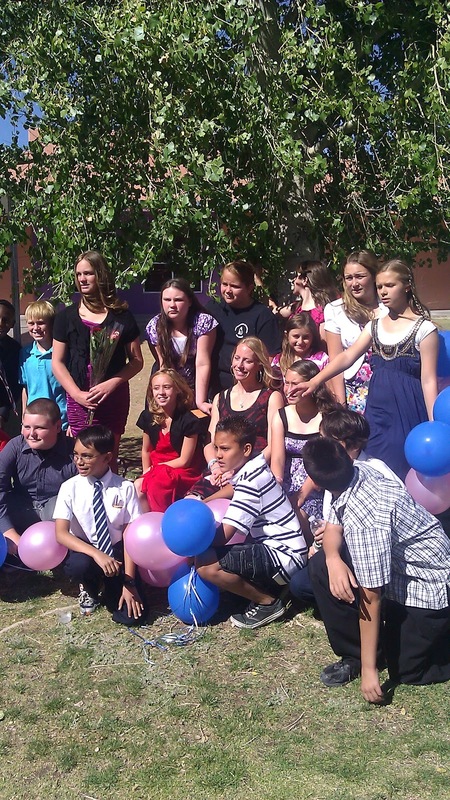 Or 8th grade graduation. Just 12th grade graduation, which, I believe I wrote about the wonderful time Kim and I had at ours way back in 1983. 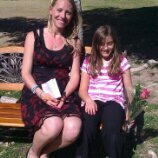 Autumn's graduation was so special, thought, because she had been chosen to be class speaker. Now, Autumn certainly has inherited Kimmy's beauty, and she has Kim's shyness. When she was chosen, she politely declined. Her teacher, Casey Rudzena, ever her biggest supporter and best mentor we could wish for, discussed this opportunity with her and was successful in having Autumn see the value in accepting this honor. Antonio, in front of a crowd of about 300, shows his love for his sister, delivering her a beautiful rose! 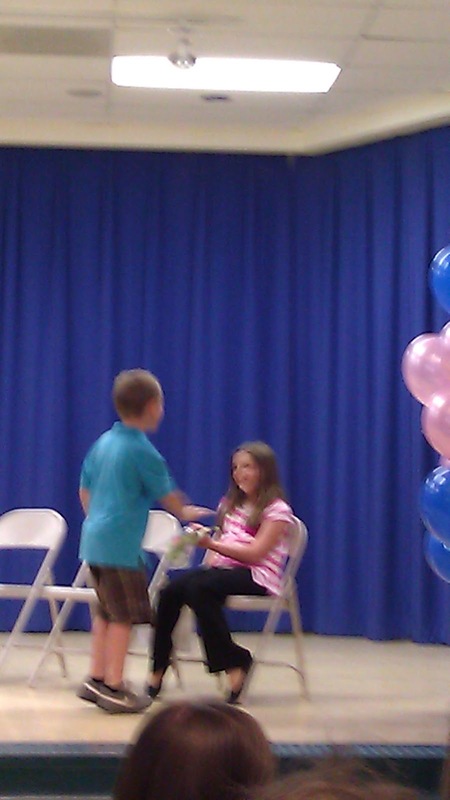 He was so proud of Autumn!! Even Cody got himself out of bed for the ceremony...and we huddled as one. Casey Rudzena, Autumn's 5th and 6th grade teacher, friend, and mentor, keeps Autumn calm and focused as she waits to speak. She had taken time over the course of the previous weekend to write her speech. Taking two days to edit it, massage it and to shape it. Caringly, just as her Mama would have. Then, she worked on her delivery. Her first run, was barely audible and took all of 10 seconds to blurt out. By the end of the week, she had it down, complete with eye contact, smiles and hand gestures (what do you get when you take away an Italian's hands? A mute!). "Will you cry Daddy?" she asked on the final day, her eyes, so Kim-like, blazing blue and so locked on mine..."Yes." A technical glitch in my media program has prevented me from posting the video of Aut's speech, but I will work on recovering it and posting it later. She spoke confidently and clearly - and yet, nerves got the best of her as she forgot to blow kisses to Kimmy at the end of her speech. I told her that her Mama knew her intentions and not to let it take away from her moment. Hello, my name is Autumn Conca. I am in Mrs. Rudzena’s sixth grade class. 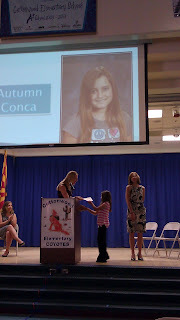 I have gone to Cottonwood since Kindergarten. I will definitely miss Cottonwood and so will a lot of kids who have gone to Cottonwood since preschool, kindergarten, or those who even came just this year. 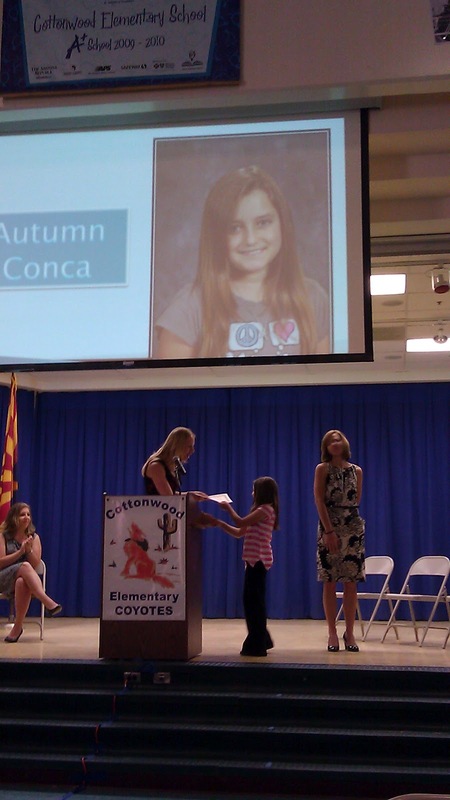 Cottonwood is a great school and has many friendly teachers and staff members. The teachers are amazing. Thank you to all of my teachers that I have had while I was here. The teachers are friendly, caring, patient, and many more things, especially our teachers for sixth grade. Mrs. Rudzena has been awesome. She arranged an engineer day for us, had celebrations for us, allowed us to have buddies and do fun activities with them, got IPods for us, gave us fun projects to do like making our own bakery business, making our own books, performing plays, and many more things. You have to agree, she really cared about all of us and has made a difference in our lives! I would also like to thank all of the amazing volunteers. 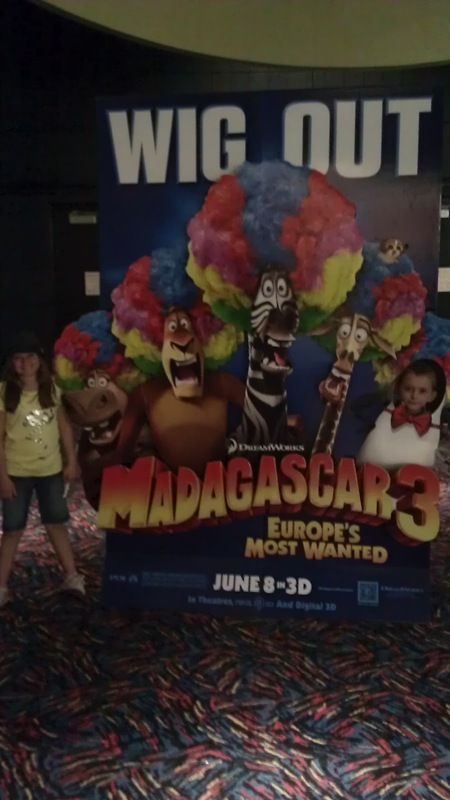 They have been really great and helpful. Like my dad. He has helped me through so many challenges while I was at Cottonwood. Once you are a coyote you are always a coyote. 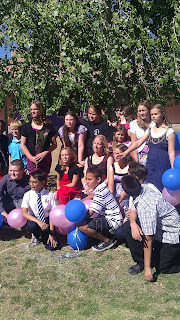 Although we will be sad to move on and leave Cottonwood, we will be very excited to go to middle school. We have all worked so hard to graduate and worked through so many challenges. Moving onto middle school will be a new adventure with new people to meet, new challenges, and new opportunities. Everyone will have a fun, memorable time figuring out middle school. Thank you for listening and for all the help you have given us. 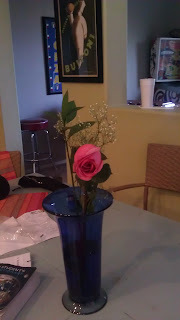 I’d now like to introduce Mrs. Shivanonda. 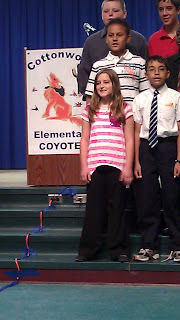 I am so proud of Autumn, how she has grown. 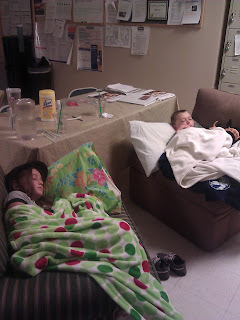 How she takes responsibility for her brothers and for helping me around the house. She is tireless and upbeat. Even as Antonio is broken anew, she is there. 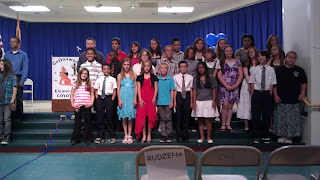 Here she is with her 6th grade class, ready to move on to 7th grade with enthusiasm, not trepidation. 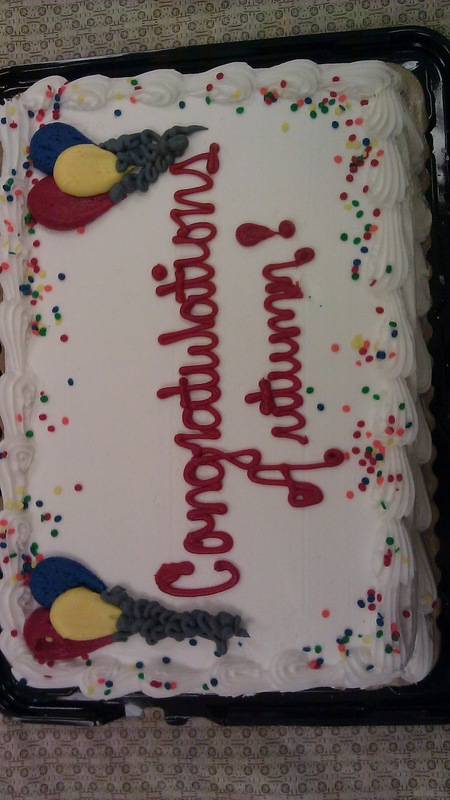 My mom ordered Autumn a red velvet cake for her graduation, her favorite! 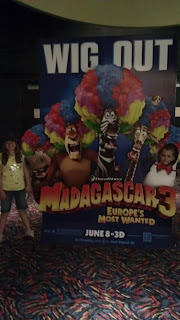 I was working an overnight at Barnes & Noble, so we took the celebration there! 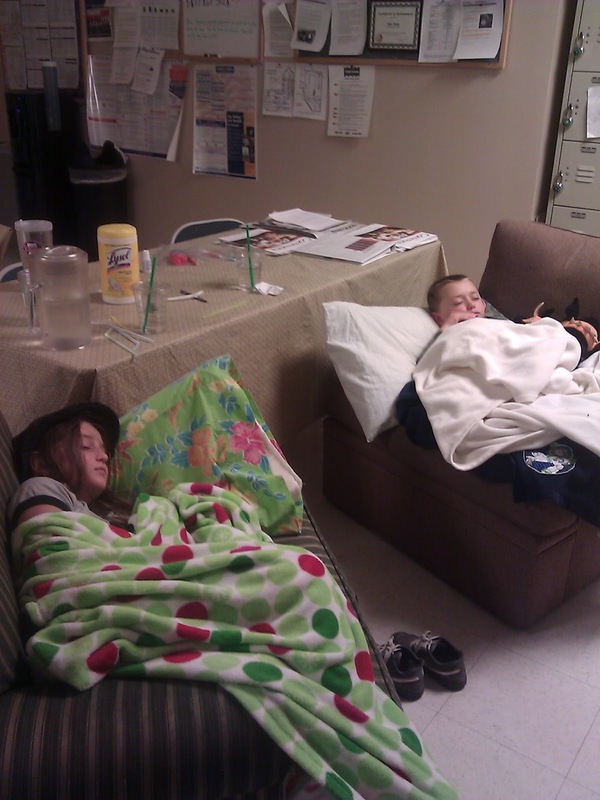 The kids fell asleep around 1:30 in some 'comfy chairs' we have in our breakroom. Autumn was so excited to share her cake with Jaimelyn, one of the assistant managers there! Thank you for the well wishes and prayers as we continue to work things out!!! UN-believable that the tiny little girl always clinging to her mama's leg or waist has graduated from Cottonwood!Man...where does the time go? I am so proud that through yours and Mrs. Rudzena's encouragement that she was able to deliver her speech. What a great memory for her and all of us. I'll just betcha Kim shed a proud tear or two for her little girl too! way to go, Autumn!! Amazing!! Party looks superb. Red velvet cake is my favourite too, and I would like to try this one too as it seems yummy. On my last birthday party at event venue Atlanta I had ordered red velvet cake only. Well the dress of girl is looking lovely too. I am going to buy such a nice dress for my next function at home.